Extreme Engineering Solutions (X-ES) introduces the XPand6104 Small Form Factor (SFF) system supporting a 3rd generation Intel® Core™i7 COM Express® module. With commercial connectors, this SFF system can be utilized as an XPedite7450 COM Express development platform, a deployable SFF system, or a demo platform for applications requiring a high-performance Intel Core i7 processor solution. In a natural convection-cooled SFF enclosure, the XPand6104 is ideal for Size, Weight, and Power (SWaP)-constrained applications at 2.10 in. (H) x 4.88 in. (W) x 7.70 in. (L) and weighing less than 4 lbs. It includes an XPedite7450 Intel® Core™ i7 ruggedized COM Express module and an optional 1.8 in. SSD. The front panel features an RJ-45 Ethernet connector to a10/100/1000BASE-T Gigabit Ethernet port, a USB 2.0 connector to a USB 2.0 port, an eSATA connector to a SATA 3.0 Gb/s port, two micro-DB-9 connectors to RS-232 serial ports, a DisplayPort connector for graphics, reset and power switches, and status LEDs. It includes an integrated MIL-STD-704 28 V DC input voltage power supply with MIL-STD-461 EMI filtering and an external AC/DC 110 V AC input voltage power supply for development. 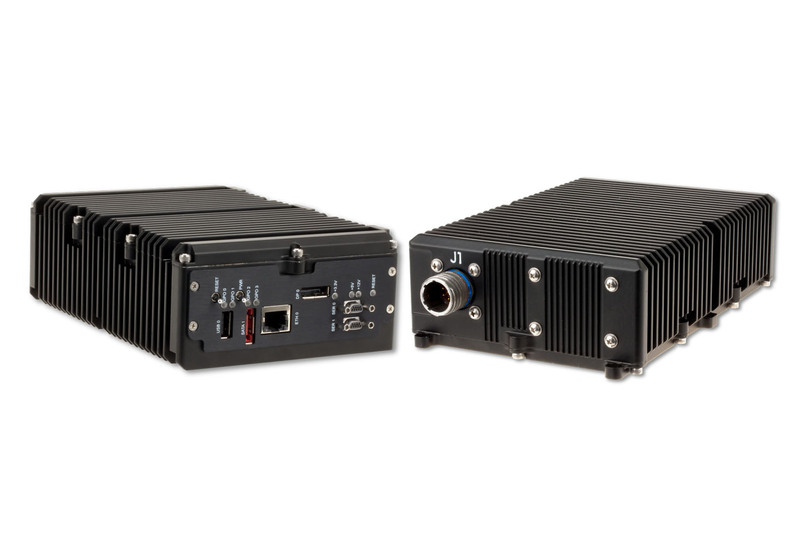 In addition to the XPand6104 SFF system, X-ES provides several other SFF systems based on the XPand6000 Series of fully ruggedized enclosures with military D38999 connectors and the XPand6100 Series enclosures with commercial or industrial IP66/67 connectors. Existing packaged SFF systems include the XPand6004 rugged 4-port router running Cisco IOS® and the XPand6101 4-port router with RJ-45 connectors running Cisco IOS. Please contact X-ES Sales for more information. About X-ES — Extreme Engineering Solutions, Inc. (X-ES), a 100% U.S.A. based company, designs and builds single board computers, I/O boards, power supplies, backplanes, chassis, and system-level solutions for embedded computing customers. X-ES offers cutting-edge performance and flexibility in design, plus an unparalleled level of customer support and service. For further information on X-ES products or services, please visit our website: www.xes-inc.com or call (608) 833-1155.